When I first heard that, I thought the speaker was crazy. That is a driving reason TO go, as you get a chance to see the latest and newest before anyone else or an opportunity to find something you didn’t know about. 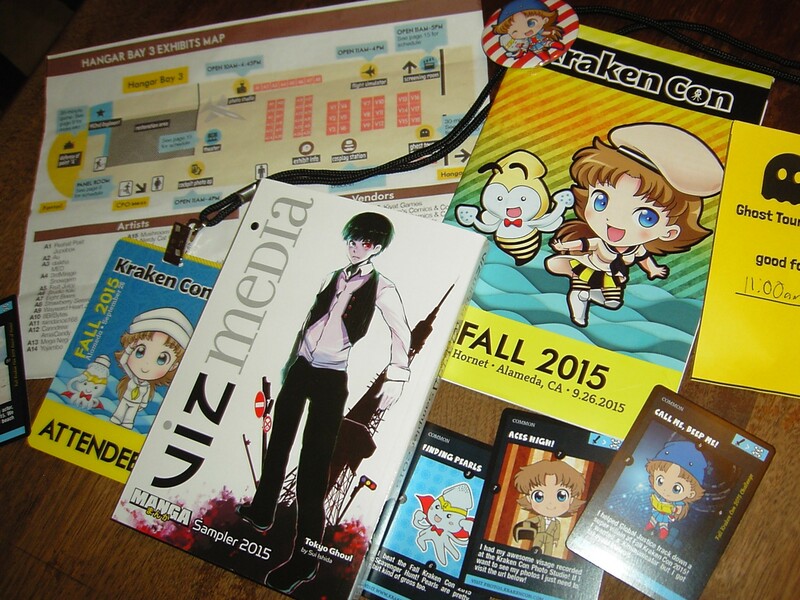 For “KrakenCon”, it was a grand disappointment for me in regards to the anime offered. So, after all the problems and concerns, the Day finally came, but not without more problems and concerns. The first was transportation. Now, with acres of free parking (and I mean acres. 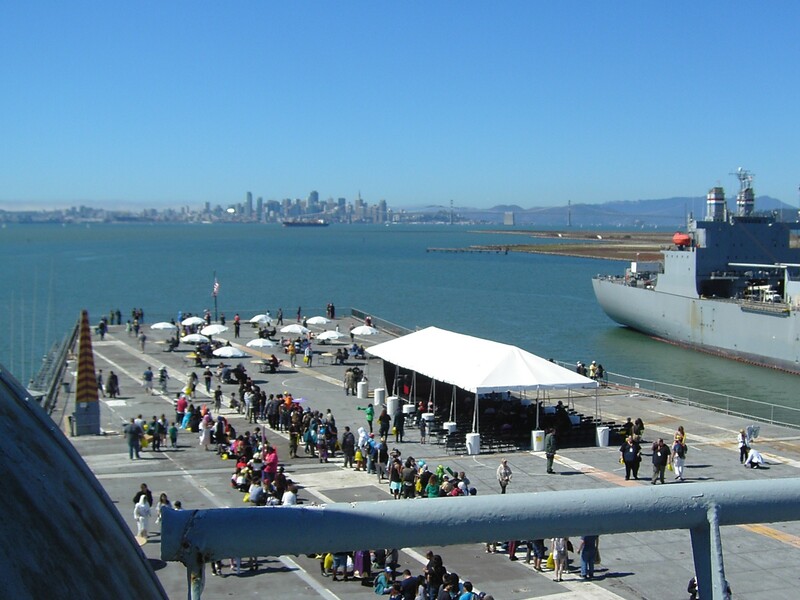 “Mythbusters” does their show here at the Alameda Naval Base for a reason: lots of empty), I had planned on taking the car, but the wife has this Saturday class, where she learns about proper and sustainable gardening techniques. Yeah, so how do you keep the rats from eating my tomatoes, short of me standing out there with a shovel? Anyway, she needs the car. Fortunately, between public transit and a shuttle from the hotel to the site (a mere ’10 minute shuttle drive’), I get to hoof it. Me, being paranoid, I like to give myself a lot of time. True, the event did not open until 10am, but I remember what went off the track for Famine!, so I gave myself a cushion. The subway ride takes about 30 minutes, but I don’t have to transfer. Yeah, I tried to work the NYC Subway system once and I practically ended up in Syosset trying to get to Wall Street. 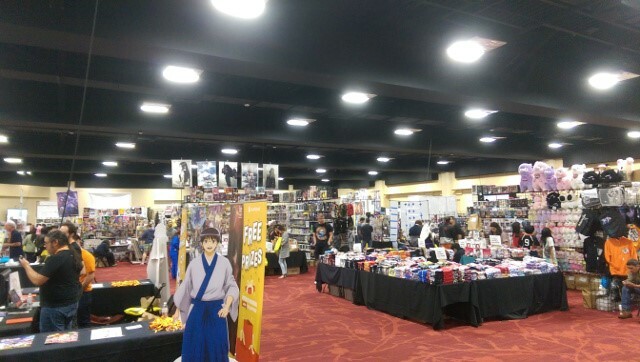 Yes, I know, I have told people that they should really do no more than one anime convention a year and really, do it every two years, but what can you do when an opportunity arises? I will gladly explain. Over the Sea, Let’s Go Men! Owing to a change in scheduling and approach, I feel compelled to give another pre-convention update as to what is going on. For a one-day convention, it certainly is creating a huge amount of problems. Thank goodness I didn’t decide to go for a hotel room; I can’t imagine the logistical nightmare that might generate. Also, the parent company for KrakenCon wants me to play up and promote and push this all over the place, as they want to increase the size of it and get more people in (What? With an attendance cap in place?) Well, as Oscar Wilde once noted, “The only thing worse than being talked about is NOT being talked about.” So I guess all ink is good ink (or electronic lettering, depending). Part of the problem with any art form (movies, music, anime, painting, books, graffiti at the bus stop) is that there is so much already out there and so much more coming through, it is very easy to miss or overlook or just be oblivious to whatever else is out there and you cruise right on past things. There are a lot of really good shows out there, but you may not have heard of them or the capsule description doesn’t really capture the flavor of the show. As part of an on-going series, I want to draw your attention to these overlooked gems and suggest that you take some time out of your busy day (there is no need to see a replay on the NFL Network of a game between the Patriots and the Falcons played in Week 13 of 1992) and check them out, which brings me to my first offering, “Gunslinger Girl”. The big problem that I have with anime movies is that I never get a real chance to see them in the theaters. With the exception of a lot (but not all) of Studio Ghibli, I would assume the bulk of these offerings never leave the Land of the Rising Sun. On those rare occasions that they do, it is a really limited release over the course of one weekend, in a movie theater that the bus lines don’t get to, at an outrageous ticket price (I had a chance to see “The Disappearance of Haruhi Suzumiya” like this, but the tickets were $20 each!) and with a grand total of five showings. Thus, when I do encounter a movie, I give it a look-see, and I will potentially not get another shot at a look-see. This means it is pot luck at best. Like the Mystery Bag, whatever is whatever. 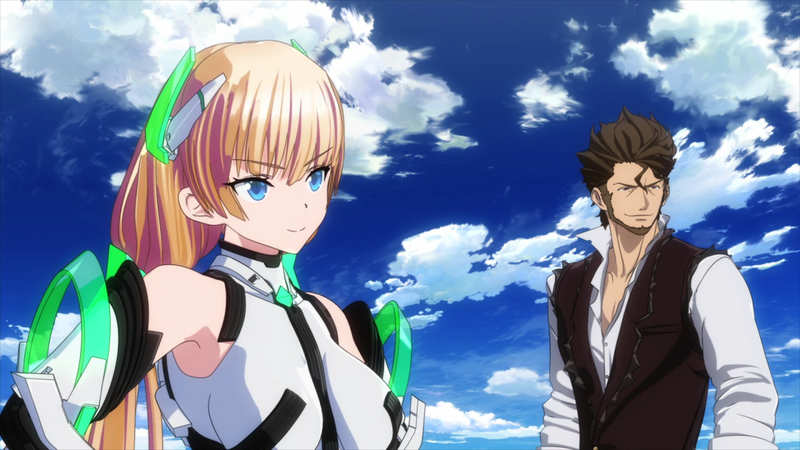 I had a chance to see “Rakuen Tsuihou” (“Expelled from Paradise”), a film I heard nothing about at all, even though it has been out in the US for theoretically five months. Movie Review – Who’s “There”? 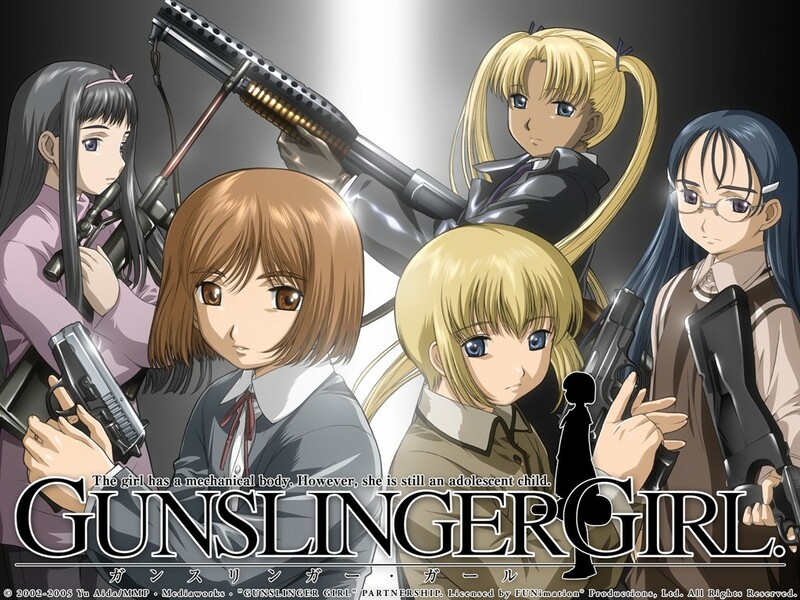 I wonder what it takes for an anime film to get decent distribution in the US. I did see “Ponyo” and “The Wind Rises” in the theaters, but how many others have slid below the radar? I’m not even seeing ads taken out in the papers or things getting mentioned, so I have to wait for alternate distribution to find out about them at all and then get a chance to see the latest film releases. 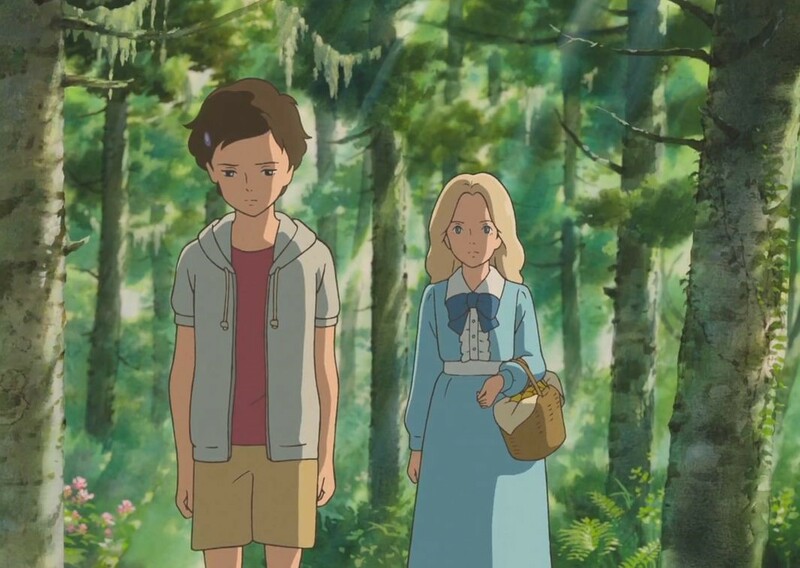 “When Marnie was There” (or “Marnie of the Memories”) came out last July and could, potentially, be the last film from Studio Ghibli, as they are ‘on hiatus’, but with the retirement of Miyazaki, their future is vague. 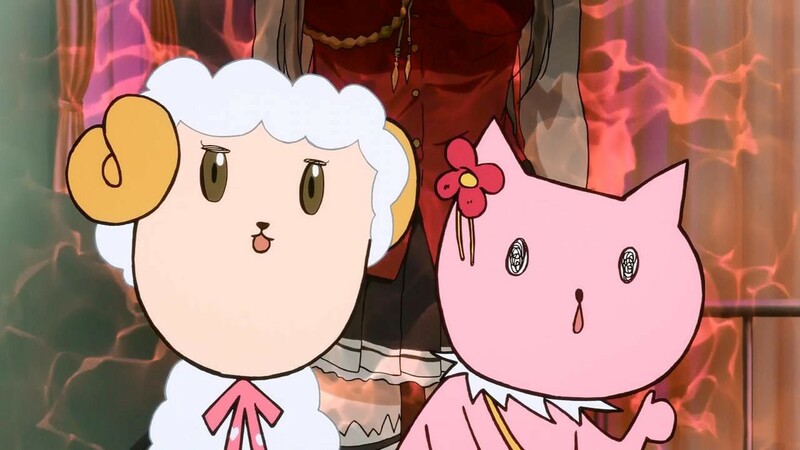 “Shiro Bako” (and there is a review out; I do a lot of anime watching and reviewing), was an anime show about making an anime show. The front part of the series spoke about “Exodus!”, which was the first anime they were producing. 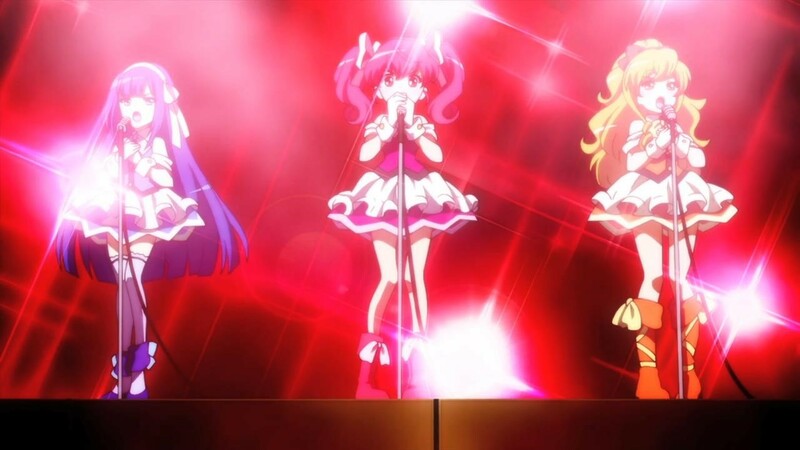 The OVA is the ‘first episode’ of that anime run, so we can see the fruits of their labors. 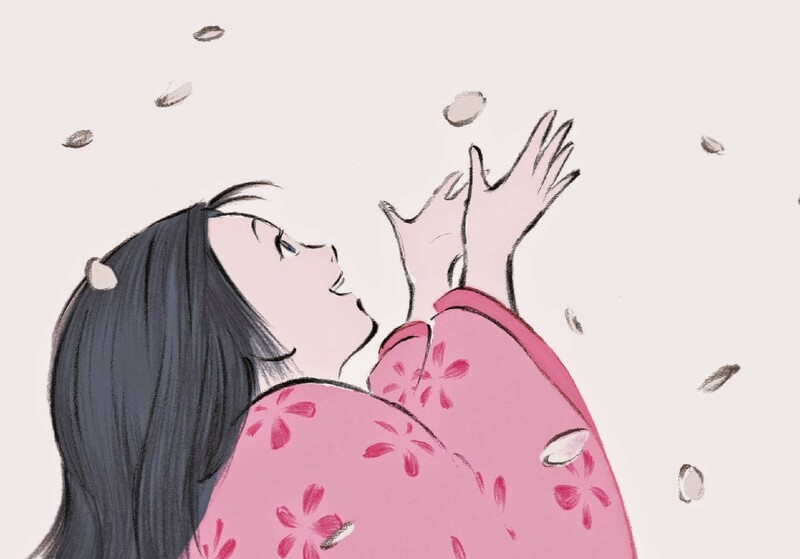 Another Studio Ghibli release, “The Tale of the Princess Kaguya” (Kaguya-hime no Monogatari) is 95% of a marvelous film. A rather cheap-out ending mars an otherwise magnificent effort, both in story-telling and animation approach.